← Ethnogeneses Around the Black Sea and along the Danube. Present day Romania, the turntable of Old & New Europe. SINO-PLATONIC PAPERS is an occasional series dedicated to making available to specialists and the interested public the results of research that, because of its unconventional or controversial nature, might otherwise go unpublished. The editor-in-chief actively encourages younger, not yet well established, scholars and independent authors to submit manuscripts for consideration. This series is not the place for safe, sober, and stodgy presentations. Sino-Platonic Papers prefers lively work that, while taking reasonable risks to advance the field, capitalizes on brilliant new insights into the development of civilization. INTRODUCTION. Iranian-speaking nomads have caught the attention of many societies, from early Greco Roman, Persian, Indian, and Chinese writers to modem scholars intrigued by their unique, somewhat romantic lifestyle as horse-mounted warriors constantly searching for greener pastures, military challenges, and riches. Spread throughout the vast Central Asian steppes, they were known to the Greeks, the Persians, the Indians, and the Chinese. peasants as Daha (Gr. Daai), “enemies,” “robbers”; by the Persians as Sacae; and by the Greeks generally as Scythians. The Sakas, in particular, made their way to the Indian subcontinent. In his Guide to Taxila, Marshall, the former Director-General of Archaeology of India, says the following about the Sakian invaders of India: Known to the western world under the comprehensive name of Scythians, to the Indians as Sakas, and to the Chinese as Sai or Sai-wang~ these invaders came principally from the three great tribes of Massagetae, Sacaraucae, and Dahae, whose home at the beginning of the second century B.C. was in the country between the Caspian Sea and Jaxartes river. (Marshal11960, 24) In addition to the tribes mentioned by Marshall, there were many other lesser-known nomadic tribes not mentioned, for example, the Thyssagetae, Tyrigetae, etc., who probably were like the Sakas. Marshall, therefore, believes that the Scythian term was an all-inclusive name applied to all Iranian-speaking Central Asian nomads. Cunningham, on the other hand, referring to the Scythian invaders of India, included the non-Iranian-speaking Ephthalites or White Huns. He states: the different races of Scythians, which have successively appeared on the border provinces of Persia and India, are the following … Sakas or Sacae, the Su or Sai of the Chinese … Kushans, or Tochari, the Great Vue-chi of the Chinese … Kidaritae, or Later Kushans, the Little Vue-chi of the Chinese … Ephthalites, or White Huns, the Ye-tha-i-lito of the Chinese. (Cunningham 1888, 27) Tod also classifies the White Huns as a “Scythian” people! 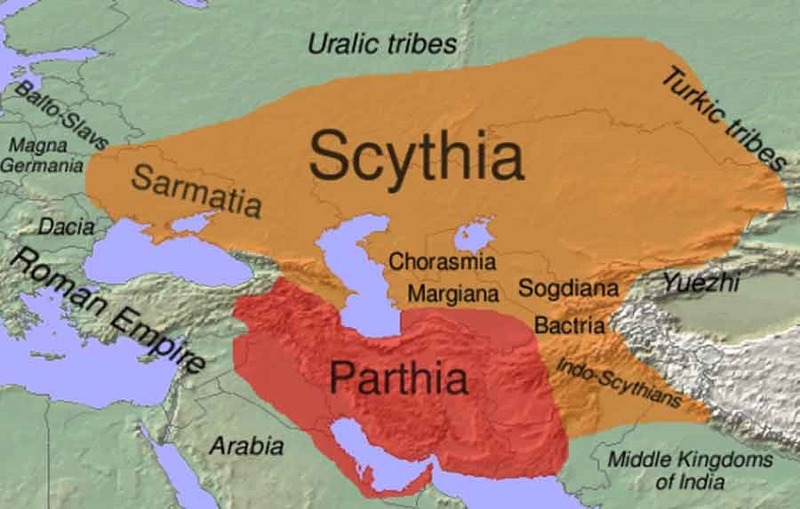 Now it is difficult to believe the Scythians were ever really one ethnic entity, since they were so greatly separated along the vast Central Asian steppes. What seems more reasonable is that they were groups of many independent nations with a similar language and culture. Therefore, the comprehensive name “Scythian” probably signifies a people who shared a common culture, language, and extended geographical area Names of tribes such as Massagetae, on the other hand, were more geographically specific, referring to, in this case, a tribe east of the Caspian Sea with almost unique, customs. Leaving tribal origins aside, the history of these Scythian tribes is impressive. They were known by the Greco-Romans to the west, by the Chinese to the east, and by the Indians and Persians to the south. One of the most interesting aspects of these tribes was their mobility as mounted nomads who left little of Eurasia unexplored. It does not seem mere coincidence that the time line for the “barbarian” invasions of Rome corresponds very closely to that of the similar invasions of northwest India and northeastern Iran, or that Huns were associated with these assaults. 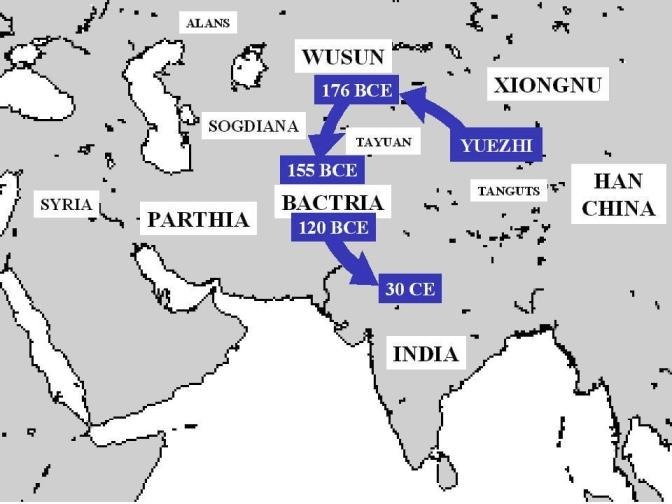 For example, the Alans reached Gaul in A.D. 408 (Dhillon 1994, 91), and the Ephthalites conquered Transoxiana and Bactria around 440 and reached India around 455-460 (Grousset 1970, 67-68). McGovern provides a bird’s-eye view of the movement of these tribes: The Sakas, like their neighbors, the Alani, were destined to play an important part in later history. But whereas the Alani spread westward into Europe, the Sakas chose the lands south of them for the seat of their later actions; and at one time they were lords of much of Eastern Iran and Northern India. (McGovern 1939)… Earlier it was mentioned that the Scythians may have had similar customs and language, but it is doubtful that they were ever one ethnic entity. This statement, however, could be partially untrue. The dominance by one group in particular, the Massagetae, who in post-Alexandrian times were classified as Sarmatians, may have led to some homogeneity across most of the steppes. McGovern wrote, “The decay and eventual downfall of the Scythians was due almost entirely to invasion by their distant kinsmen, the Sarmatians” (McGovern 1939, 38). The Sarmatians were “a member of the nomadic Indo-European people who displaced the Scythians on the lower Don. 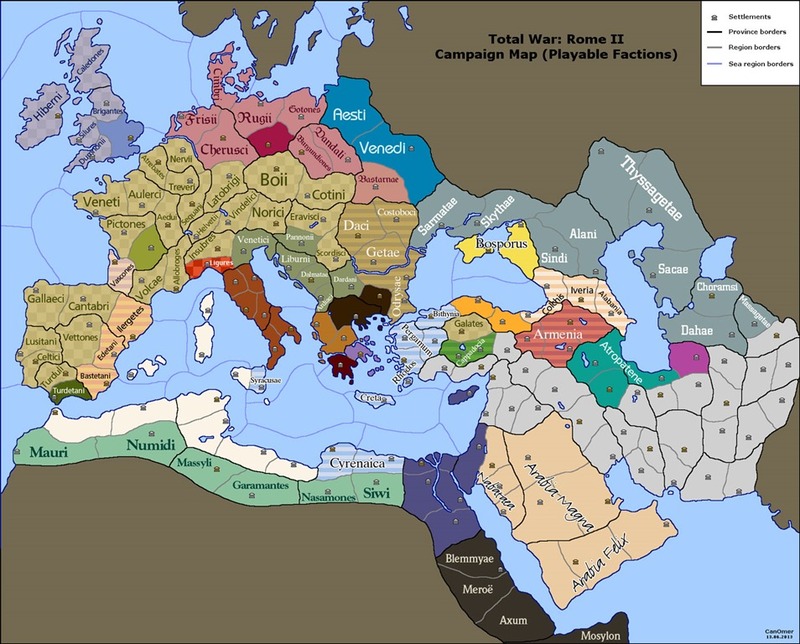 First the enemies and then the allies of Rome, they were displaced by the Goths in the third century A.D.” (W.E.D.1988, 887). The term “Sarmatian” gradually began to replace “Scythian” in classical accounts. Littleton and Malcor call them “Eastern Scythians” (Littleton and Malcor 2000, 16). And for good reason, as the Sarmatians were not much different from Scythians-they spoke an Iranian language and wore trousers, soft leather boots, and round or peaked caps, although some also went bare-headed (Sulimirski 1970). Regarding the Sarmatians, Jeannine Davis-Kimball wrote a rather interesting paragraph in her popular book Warrior Women: they were also Caucasoids and spoke an Indo-Iranian language, their skeletons revealed a variety of ethnic types, with some being tall and large boned … while others were shorter and delicate in stature. My theory, based on a number of notable comparisons between funeral offerings, is that some of these people might have been younger generations of Saka who were forced from their territories near the Tien Shan Mountains or the southern Aral Sea by the need for additional summer pasturelands. Around the third century A.D., they began migrating westward and eventually these expert horsemen equipped with sophisticated weapons and armor constituted a real threat to the Roman legions guarding the Danube frontier. The enterprising legionnaires, however, defused the situation by recruiting some of the Sannatians to join their army. In A.D. 175, more than five thousand of the steppe tribesmen (most likely along with their families) were dispatched to the northern English border to guard Hadrian’s Wall, which helped repel incursions into Roman Britain by the Picts and the Celtic Scots. Twenty years later, the Sarmatian regiment was redeployed to Gaul (the ancient designation for France and Belgium) to quell a rebellion. Later they were returned to Britain, and as they grew old, the battle-weary Sarmatians retired to a veteran’s home in Lancashire. The destruction by Alexander the Great of the Achaemenid (Persian) monarchyand his subsequent conquest of Bactria and Sogdiana in 330-328 BC also influenced the history and development of all the peoples of Central Asia. Neither the Chorasmians nor the Massagetae were subjugated by Alexander, but as a result of having to fight against the highly trained and organized Macedonian army, they developed new military tactics using armoured cavalry, the ‘cataphracti’. Some authors think that the Massagetae owed their conquests solely to the use of this armoured cavalry against weaker adversaries. (Sulimirski 1970, 81). “In the fourth and third centuries BC, the Massagetae subdued nearly all the nomad tribes of Central Asian north of the Macedonian frontier, eastward to the Tien-Shan Mountains, and possibly many tribes of the Kazakhstan steppes; this led to a tremendous extension of their culture which to a great extent derived from that of Achaemenid Iran” (Sulimirski 1970, 81). Moreover, this mechanism led to the expansion of their culture east to China, west to the German frontier, and perhaps even southward to India. So did the Massagetae – provide at least some continuity between the vast steppes, before this nation was scattered by the Huns? In a rather bold paragraph in their recent book on The Tarim Mummies, James P. Mallory and Victor H. Mair suggest that there may have been more cohesion among these nomads than was previously believed. They wrote in the following paragraph regarding the Yuezhi nomads near the border of China: Da (Greater) Yuezhi, or in the earlier pronunciation d’ad-ngiwat-tieg, has been seen to equate with the Massagetae who occupied the oases and steppe lands of West Central Asia in the time of Herodotus; here Massa renders an Iranian word for “Great,” hence “Great Getae.” … Others have seen in this word an attempt to capture in Chinese the name of a tribe that is rendered in Greek as the Iatioi who are recorded in Ptolemy’s geography. The original pronunciation has been reconstructed as gwat-ti or got-ti or gut-si, which opens up distant lexical similarities with the Goths, the Getae (the Dacian, i.e., Balkan, tribes northwest of the Black Sea), the Guti (a people on the borderlands of Mesopotamia), the Kusha (our Kushans), the Gushi (a people mentioned in Han texts and regarded as brigands along with the peoples of Kroran) , or a combination of some but not all of the above. (Mallory and Mair 2000, 98-99). This comparison of like-sounding tribal names, although merely a paragraph in length, could potentially generate volumes of discussion and can help us understand more definitively the nature of the barbarian invasions in ancient Rome, the powerful Kushan Empire in India, the possible origins of the Guti people, the Guti kings of Mesopotamia, and the similarity between the Goths, Getae, and the Yuezhi. Moreover, this opens up the possibility that at least some of the people termed “Scythians” were a single tribe-the Getae. So could there have been a nation of nomads who knew themselves as Gets, Gats, Guts, or Yuts? This is not the first time that the suggestion has been offered that the Yuezhi could be related to Goths. In his Tableaux Historiques De L ‘Asia, Julius Von Klaproth (1783-1835) wrote: The name of Yueti or Yut recalls that of Yuts or Goths, which came to Europe: it would be very possible that the Yutes who arrived in Scandinavia with Odin, are the same people who three centuries before our era, still inhabited the area … northwest of the Chinese Kansu province. This would suppose the emigration of the Goths of Central Asia. This identification between the Yuezhi and the Goths by Klaproth suggests that the tribes involved in the movement of nomads into Roman territory may have been greater than modem scholarship holds. Could it be that the Goths, along with the Alans, were pushed into Europe under pressure from the Huns? Moreover, could these same tribes be found in the Indian and Persian frontiers? The South Asian Jats are one such group that may lead us in the proper direction, as their settlement corresponds geographically with the Indo-Scythian settlement on the Indian subcontinent. Perhaps by examining the customs and characteristics of this living population we can better understand the role the Getae played in history. Father Monserate (1536-1600), a Jesuit priest at the Moghal king Akbar’s court considered the Jats to be the descendants of the Getae (Maclagan 1990, 154). By the mid-18th century, Joseph De Guignes (1721-1800) would equate the Jats with the Scythians, as well, but this time also with the Chinese Yuezhi (De Guignes 1756, Dhillon 1994, Tod 1829, Elphinstone 1874). De Guignes, a French Orientalist, believed the Jats of Punjab were descendants of Yuezhi who were known to the Indians under the Kushan Dynasty. James Tod, relying on De Guignes, presented quite an interesting histQry to the Jats and Raj puts , whom he thou~ht were both descendants of Yuezhi and Getae, as he equated the Getae and Yuezhi. In his Annals and Antiquities of Rajas than, written in 1829, he says (note Jit, Jat, and Jut are the same): ‘[A] translation of the Nehrwalla conqueror’s inscription, which will prove beyond any doubt that these Jit princes of Salpoori in the Punjab, were the leaders of that very colony of the Yuti from Jaxartes, who in the fifth century crossed the Indus and possessed themselves of the Punjab. In short, whether as Yuti, Getae, Jats, Juts, or Jauts … their habits confirmed the tradition of their Scythic origin. In his Tableaux Historiques De L’Asia, Klaproth (1783-1835) also identified the Jats with the Yuezhi. The Jats offered resistance not only against the Arabs, but also against invaders such as Ghaznavi, Timur, Babar, Jahangir, and eventually the British at Bharatpur and under the Sikh Empire (Dhillon 1994). This demonstrates the continuity of the existence of these people in India and the preservation of their martial qualities. Alexander Cunningham held that the Jats were descended from Strabo’ s Zanthi and Ptolemy’S Iatioi. In his 1888 work, Coins of the Indo-Scythians, Sakas, and Kushans, he said: The Xanthii are very probably the Zaths [Jats] of early Arab writers. The Xanthii were a sub-branch of the Dahae, as per Strabo.. In his Sixth Great Oriental Monarchy, George Rawlinson, when writing about the original homeland of the Scythian invaders of India, makes the identification between the Jats and the Massagetae: Of these tribes the principal were the Massagetae (‘great Jits, or Jats’), who occupied the country on both sides of the lower course of the Oxus; the Dahae, who bordered the Caspian above Hyrcania, and extended hence to the latitude of Herat; the Tochari, who settled in the mountains between the upper Jaxartes and the Upper Oxus, where they gave name to the tract known as Tokharistan; the Asii, or Asiani, who were closely connected with the Tochari; and the Sakarauli (Sacarucae? ), who are found connected with both the Tochari and the Asiani. (Rawlinson 1872, 118) .. Modern scholarship has interpreted the Yuezhi as the phonetic Ywati, and has identified the tribe with Ptolemy’s Iatioi or Jatioi..
Who were the Tokharoi? Pulleyblank, as aforementioned, believed the Jatioi and the Tokharoi were closely associated with each other (Pulleyblank 2002, 425). M. Lin, in “Qilan and Kunlun-The Earliest Tokharian Loan-Words in Ancient Chinese,” believes the Yuezhi to be the Tokharoi. He writes, “The Yuezhi people who came from Dunhtiang were called Tokharoi in classical Greek works and Tukhara in the ancient Indian texts” (Lin 1998, 477). Further, Rosenfield in his Dynastic Art of the Kushans, says about the Kushans, “the Chinese continued to call these people the Ta (Great) Yueh-chih …. In India, strangely enough, the name Kushan as such never appears in the Puranas, Mahabharata, or other quasi-historical sources. These people must have been denoted by variations of the Tokhari, such as Tuskara, Tushara, Tukhara, Turushka” (Rosenfield 1967,8). To summarize, we have Alexander Cunningham, who identified the South Asian Jats with Ptolemy’s Iatioi and then equated the Da Yuezhi (Great Yuezhi) with the Massagetae (Great Getae). Adding Torday, Marquart, and Pulleyblank’s identification of the Iatioi with the Yuezhi, it is logical to conclude that the Getae were the Yuezhi and the Jats. The Jats and Rajputs, as well as Gujars, have been identified as descendants of Scythian invaders, of which many became followers of the Sikh religion. MacMunn believed the “Martial Races” of India were somehow all connected to the Scythian descendants: “the martial races, almost without exception, come from some branch or derivative of the great peoples of Northern India who we lmow as Rajputs and Jats” (MacMunn 1932,223). Joseph Davey Cunningham wrote in his famous book, A History of Sikhs, in 1849: The plains of Upper India, in which the Brahmans and Kshattriyas had developed a peculiar civilization, have been overrun by Persian or Scythic tribes, from the age of Darius and Alexander to that of Babar and Nadir Shah. Particular traces of successive conquerors may yet perhaps be found, but the main features are: 1) the introduction of the Muhammadan creed; and 2) the long antecedent emigration of hordes of Jats from the plains of Upper Asia. It is not necessary to enter into the antiquities of Grecian Getae and Chinese YueChi, to discuss the asserted identity of the peasant Jat. … or try to trace the blood of Kadphises in the veins of Ranjit Singh. (J.D. Cunningham 1849,4). It should be noted that J.D. Cwmingham equates the Greek Getae with the Chinese Yuezhi. Further, in the same book, Cunningham discusses the etymology of the word “Jat.” “[We may] derive Jat from the Sanskrit Jyest’ha, old, ancient, and so make the term equivalent to aborigines; but this etymology perhaps too hastily sets aside the sufficiently established facts of Getae and Yuechi emigrations, and the circumstance of Taimur’s [Timur’s] warfare with Jettahs in Central Asia” (J. D. Cunningham 1849, 299). An interesting addition to this statement was made by C. Twiggs, who, in discussing Timur’s Zafarnama, or Memoirs, says, “We know from the ‘Zafarnama’ of Sharfuddin that Timur, when he invaded India, believed the Jats of the Punjab to be the same race as Tartars whom he met in Central Asia” (Twigg 1870, 318-19). With the generic word “Tartars,” I believe he means Sakas or eastern Scythians. This further implies that the Getae kept their tribal identification as Jatae or Jatahs intact as late as Timur’s age. Further, Toynbee, in discussing the modem Turkish word “Jatah” or “cheteh,” which means “guerilla,” wonders, “Is it perhaps derived from the tribal name of the Getae (Massagetae and Thyssagetae) or Jats, who were the nearest Nomadic neighbors of the Oxus-Jaxartes oases in the Achaemenian Age, before they erupted out of the Steppe and poured over the Hindu Kush into the Panjab in the second century B.C. ?” (Toynbee 1934, 2: 145). Interestingly, Gibbon, the author of The Decline and Fall of Rome, believes that the “Jatah” of Transoxiana mentioned by Timur were Getes (Gibbon 1850, 6: 249), suggesting the survival of the name of the ancient race in Central Asia. Briggs had this to say as early as 1829, in his History and Rise of Mahomedan Power in India, about Jats: “We have no satisfactory account of these Juts; but there seems reason to believe them to be a horde of Tartars of the same stock as the Getae so often mentioned in ancient history …. ” (Briggs 1829, 1: 81). One after another, British and other historians related the South Asian Jats to Scythian tribes, usually the Yuezhi or the Getae. Syad Muhammad Latif, a Muslim author, wrote, “A portion of these settlers, the descendents of Masagetae, were called Getes, from whom sprung the modem Jats” (Latif 1891, 56). Even some Indian historians, who are not Jats themselves, claim that the Jats are descendants of the Getae. Satya Shrava, in his 1981 work, Sakas in India, said, “The Jats are no other than the Massagetae (Great Getae) mentioned in Diodoms as an off-spring of the ancient Saka tribe…. a fact now well-known” (Shrava 1981,2-3). J.F. Hewitt related the Thracian Getae, a tribe mentioned by Herodotus, to the Massagetae and the Jats, stating: These Thracian Getae must, as a Northern race of individual proprietors, have held their lands on the tenure existing in the Jat villages, and these Indian Jats, or Getae, have not degenerated from the military prowess of their forefathers, for those Jats who have become Sikhs in the Punjab, are known as some of the best and most reliable Indian soldiers…. Further evidence both of early history and origin of the race of Jats, or Getae, is given by the customs and geographical position of another tribe of the same stock, called the Massagetae, or Great Getae (Hewitt 1894, 482). We will discuss later the relationship between the Thracian Getae, or Tyrigetae, with the other branches of the Getae. Massagetae. When first hearing the word “Massagetae,” a Sikh would quickly be reminded of Massa Ranghar or the Great Ranghar, a Muslim Rajput, who insulted the greatest Sikh Shrine, the Golden Temple or Harmandar (Durbar) Sahib, by seizing it and making it a dancing hall, 3 centuries ago. It was relatively common for Jat Sikhs in those days to have Persian or Farsi personal names and “Massa” or “Massa Singh” was common. Even today some Sikhs are named Massa Singh, or the “Great” Singh. “Massa” was simply the Persian or Pehlavi equivalent of the Indian “Maha,” meaning “great” (Pawar 1993, 364). This is also the view of Elliot, who says “Massa” means “Great” in the PehIavi language (Elliot 1870, 133). The root word “Mas,” in the Pehlavi glossary by Nyberb, is believed to mean “great” (Nyberb 1974, 127). Thus it follows that Massagetae means “Great Getae.” The ninth-century work De Universo of Rabanus Maurus clearly states, “The Massagetae are in origin from the tribe of the Scythians, and are called massagetae, as if heavy, that is, strong Getae” (Migne 1864, Col 439). Therefore, we can conclude that the Massagetae are the Great Getae. Thyssagetae. Little is known about Herodotus’s Thyssagetae, other than that they were found east of the river Don (Tanais) (Rawlinson 1928, 241). “The Thyssagetae appear to be a branch of the Gothic family, ‘the lesser Goths’ as distinguished from the Massa-Getae, ‘the greater Goths'” (H. Rawlinson 1880, 16). Therefore, the Thyssagetae were the Lesser Getae, as Rawlinson equated Goths with Getae. Crooke endorses Rawlinson’s identification, claiming the Thyssagetae were “the lesser Getae” (Tod 1829, 72). The Getae and Goth connection will be discussed later. The Tisza or Tisa is one of the main rivers of Central Europe. It rises in Ukraine, after passing through Hungary, it flows into the Danube in Vojvodina, Serbia. Massagetae and Thyssagetae = Da Yuezhi and Xiao Yuezhi. We have already shown that the Iranian Massagetae can be equated with the obscure Yuezhi that appeared on the borders of China, but can we be more precise? Views equating the Massagetae with the Da Yuezhi are fairly common, such as the statement made by Edgar Knobloch in his Monuments of Central Asia: “This time the nomads were the Yue-Che (Yue-czi) who, according to one authority (Tolstov), could be the same as the Greater Getae or Massagetae” (Knobloch 2001, 15). Tod went further, to equate the Massagetae, the Yuezhi, and the Indian Jats, as he says: “We will merely add, that the kingdom of the Great Getae, whose capital was on the Jaxartes, preserved its integrity and name from the period of Cyrus to the fourteenth century, when it was converted to Islam” (Tod 1829, 127). “The Yuchi, established in Bactria and along the Jihun, eventually bore the name Jeta or Yetan, that is to say, Getae. Their empire subsisted a long time in this part of Asia, and extended even to India” (Tod 1829, 78). But eventually what strengthens the supposition that the Massagetae are the Yuezhi is that the Yuezhi were divided into two groups, the Da Yuezhi and the Xiao Yuezhi, meaning the “Great” and the “Lesser” Yuezhi, respectively. We have already shown that the Massagetae must mean the Great Getae and Thyssagetae probably means Lesser Getae, thereby suggesting a likelihood of both the Greek and Chinese both not only recognizing the characteristic denomination of this tribe, but also remaining consistent. Repeating Alexander Cunningham’s comments, “By the Chinese the Kushans were called Ta-Vue-ti, or the ‘Great Lunar Race’ . That is, if ‘Vue’ be taken for the ‘Moon’, But I incline to, take Yue-ti or Gueti, the general name given by the Chinese … And further, I think that as Ta means ‘Great’, the ‘Ta-Gweti’ must be the Massa-Getae” (Cunningham 1894, 112). It also seems possible that the Thyssagetae, who are known the Lesser Getae, as per Rawlinson and Crooke, must correspond with the Xiao Yuezhi, meaning Lesser Yuezhi. Therefore, the Greek and the Chinese must be identifying the same people. The conclusion is well put by B.S. D.ahiya, who wrote about the Massagetae and Thyssagetae, “These Guti people had two divisions, the Ta-Yue-Che and Siao-Yue-Che, exactly corresponding to the Massagetae and Thyssagetae of Herodotus … ” (Dahiya 1980, 23). Therefore, the Iranian Getae were probably the Yuezhi who appeared strangely on the Chinese frontiers and the Chinese transcribed their name semi-vocally to Yuet with a dental t.
Some may be apprehensive about reducing the Massagetae and Thyssagetae to branches of the Getae. But this supposition can be strengthened, as there are additional tribes with the denomination Getae, such as the Thracian Tyrigetae, the Euergetae, and the “frozen” Getae, which will be discussed later. For now, we can remark that it appears that the “Massa” term added to the Getae perhaps denoted their military prowess, as they became famous for their defeat of Cyrus the Great and later their hard-fought battles against Alexander the Great in Bactria and Sogdiana. This compound name may be analogous, therefore, to the naming of “Great Britain.” Perhaps this term was known to both the Greeks and the Chinese as the original homeland of the Getae before they spread out in various directions and at various times. If this belief is prudent, then the term “Thyssa,” which means “Lesser” Getae, corresponding to the Xiao Yuezhi, may have had a somewhat less spectacular, although no less important, history, hence Lesser Getae. The other groups of Getae, whose names similarly must have characteristic or regional meanings, will be discussed later. If our supposition that the Yuezhi and Getae were different names for the same people, then we can more precisely identify the Indo-Scythian invaders of India rather as Getic invaders. Moreover, this identification may further show that the Getes so often talked about by classical writers were originally from the Caspian region. However, before we can claim the Indo Scythians to be “Getic,” we must first examine yet another obscure tribe, known at the Ephthalites or White Huns, who entered India after the Xiao Yuezhi or Kiddara Kushans . (Cunningham 1888,59). This is a tribe whose name may strengthen our belief in the existence of a nation called Getes. Yetha, the White Huns, or Ephthalites, were known to the Chinese as Ye-tha-i-li-to, a name curtailed to Yetha (Cunningham 1888, 28). Grousset claims the Yetai were known as such by the Chinese since they derive their name from the royal clan of “Yeta” (Grousset 1970, 67). In the Chinese work Sui-Shu the name of this tribe is “I-ta” (Enoki O.N.E. 1998, 135). The Chinese authority Wei Chieh wrote in his His-Jan-chi, “I had a personal talk with some Ephthalites and knew that they also called themselves I-t’ein” (Enoki D.N.E. 1998, 135). I-t’ein renders the name phonetically close to the word Jatan, which is the Panjabi plural form of Jat. McGovern writes in detail about the Yetha: The origin and exact ethnic affinities of the Ephthalites are shrouded in mystery. By the contemporary Greek and Roman histories they are frequently referred to merely as Huns. The Hindu legends and traditions regarding the dreaded ‘Hunas’ also go back to the period of Ephthalites invasions and show that the word Hun must have been intimately associated with the Ephthalites …. We know, however, from various sources that the Ephthalites were a very peculiar group and differed radically from most of the Hunnish groups. Thus, for example, the Byzantine writers are careful to distinguish between the ordinary Huns, such as those who invaded Europe, and the Ephthalites, who are more specifically referred to as White Huns. ‘The Ephthalites,’ says Procopius, ‘are of the Hunnish race and bear the Hunnish name, but they are completely different from the Huns we know. They alone among the Hunnish people have white skins and regular features…. The Chinese are always careful to distinguish between the Huns proper or the Hsuing-nu and the Ephthalites, whom they call the Ye-ti-i-lido or Ye-da. .. According to one Chinese chronicle the Ephthalites were ultimately of the same origin as the Yueji [Yuezhi] …. (McGovem·1939, 405) Some authorities claim the name “White Huns,” as used by Procopius, is erroneous, but this does not seem to be the case because, in India, Varahamihira refers to a group called Sveta Hunas, and the Persians noted the Spet Hyon or White Huns (Biswas 1973,27-28). Kephart believes the Massagetae divided into the Tokhari (Ta Yuezhi) and the White Huns (Yetha) (Kephart 1960, 522-23). T. Watters claims, “[Northwest India] was conquered by the Veta, i.e., the Vets or Gats, apparently near the end of our fifth century. The Veta, who were a powerful people in Central Asia, in the fifth century, are also said to have been of the Vue-Chi stock … ” (Watters 1903,200-201). Klaproth also sees the Veta or Vita as the descendants of the Yuezhi or Yueti (Klaproth 1826, XII, 135). And if we recall, Cunningham holds the Yetha to be the last wave of Indo-Scythians (Cunningham 1888). comes from the Chinese chronicles, in which it is stated that they were originally a tribe of the great Vue-Chi [Da Yuezhi or Massagetae], living to the north of the Great Wall. … “(E.B. 1911, 9: 680).” The Chinese work Pei-shih states, “[The Ephthalites] are a branch of the Ta-Yueh-chih” (Enoki O.N.E. 1998, 139). Thakur writes, “The annals of three Chinese dynasties assert that the Yetha or Ephthalites were a branch of the great Vue-chi race” (Thakur 1967, 42). Thakur then refers to Ma-tuan-lin: Ma-tuan-lin in his Encyclopaedia has given two comments on the origin of the Ephthalites: (i) Ye-ta belonged to the Ta-yue-chi stock but according to some they are a branch of the Kao-che; and (li) I-tan belonged to the same race as the Ta-yuechi. (Thakur 1967, 50). In both cases it seems that the Ephthalites are descended from the Great Yuezhi, and the Ephthalites are also shown as coming from a different origin than the Huns. The weight of authority, the testimony of Chinese accounts, and the phonetic resemblance between Yuezhi or Yueti (Klaproth 1826, 288) with the Yetha or Ita (Enoki O.N.E. 1998, 141, 157) is too strong to ignore. The name Ita used by the Northern Dynasties (Enoki O.N.E. 1988, 157) renders it seemingly close to the latii of Pliny, and to the name of Jat or Jata, for that matter. By examining the customs of the Ephthalites, even more strength is added to this theory. That the Ephthalites practiced sun worship has been suggested by Enoki, who says, “[That] the Ephthalites built their tents with their entrances facing to the east would also imply the practice of sun-worship among them (Enoki O.N.E. 1988, 175). He also adds, “We may also recall the practice of sun-worship among the Massagetae (Herodotus I, 212) and the Kushanians [Ta Yuezhi]” (Enoki O.N .E. 1998, 175). Now the implied practice of sun worship still exists today in the structure of the modem Panjabi villages. Further, Enoki suggests that the Yetha worshipped the Fire-god (Mithra) and the God of Heaven (Daeva-Worship), thereby remaining consistent with his idea of the Iranian origin of the Yetha (Enoki O.N.E. 1998, 177). Based on the coins of the Ephthalites, namely the coins of Khingila (father of Toramana Jauvla), Gobl suggests that the later Ephthalites may have followed the practice of skull deformation (Gobl 1967, 200-201). At this stage it is difficult to determine whether they originally practiced this custom or it was adopted (Gobl 1967, 200-206). Nonetheless, this practice was prevalent among many of the Sannatian tribes, most especially, the Alans (Sulimirski 1970). Another peculiar habit that was unique to the Yetha, as opposed to the other Hunnish groups, was their practice of polyandry. McGovern writes: One feature of the Ephthalite social culture is worthy of especial mention, namely the fact that they went in for polyandry, or the custom whereby each woman was allowed to have several husbands …. the various husbands were for the most part brothers, the eldest brother marrying the girl, and the younger brothers being automatically admitted to conjugal rights …. The fact that the Ephthalites went in for polyandry is of especial interest inasmuch as this custom was entirely unknown to the other Hunnish tribes …. (McGovern 1939, 406). The Massagetae were known to have a similar practice, in which they kept all women in common, and any male had access to the females. Herodotus writes, “Each man has but one wife, yet all the wives are held in common; for this is a custom of the Massagetae … ” (Rawlinson 1928, 80). Enoki notes this as well: “Massagetae, an Iranian tribe inhabiting the course of the Syr Darya and the north bank of the Aral River, had this custom [polyandry]” (Enoki O.N.E. 1998, 181). Whether this is accurate or not, Pawar claims that certain Jat tribes followed a similar practice as that mentioned by Herodotus (pawar 1993, 303). Minns writes: The [Ephthalites] had supplanted the Yue-chih, and destroyed the kingdom of the Kushanas. We hear of their polyandry, a primitive Malthusianism which seems to have been endemic in their country, as it is ascribed to the Massagetae, to the Yue-chih and Tu-huo-Io or Tochari, and to the Vi-tao (Minns 1971,93). The Jats are well known in India for widow ret1¥lll’iage and allowing for levirate marriage, that is, the marriage of the widow with the younger brother of the deceased. nomadic life, including vertical transhumance. Baines writes about the Gujars: Next to the Jat in rank, and probably akin in ongm, comes the Gujar … [which] … is now generally affliated to the Gurjara, a tribe which was settled in the neighborhood of the Caspian, and entered India either in company with or at the same time as, the Yetha or White Huna, of whom they are said to have been it branch. (Baines 1912, 44). In any event, the Yetha appear to have significantly influenced the Jat and Rajput people of northwest India. Grousset puts it well: Yet from the second half of the seventh century the Huns [Ephthalites] of India vanish from history, no doubt either exterminated or absorbed by the Punjabis. Some of their clans most likely succeeded in gaining admission to the Hindu aristocracy, in the manner of the ‘Rajput’ clan of Gurjara, which may possibly have the same origin. (Grousset 1970, 72). Amongst Rajputs, the Hun tribe represents one of the 36 royal races of Rajasthan (Tod 1829, 131). Tod recognizes this tribe as the descendants of the White Huns (Tod 1829, 132-33). V.A. Smith believes the White Huns to be the ancestors of the agnikula or frrebom tribes of the Rajputs. He says, “[T]here is no doubt that the Parihars and many other famous Rajput clans of 30 Sundeep S. Jhutti, “The Getes,” Sino-Platonic Papers, 127 (October, 2003) the north were developed out of the barbarian hordes [White Huns] which poured into India during the fifth and sixth centwies” (Smith 1914,322). It appears that some of the successful clans of the Yetha or White Huns were absorbed into the Jat and Rajput fold, who were themselves simply earlier settlers from Central Asia. Many scholars believe that the proud Rajput clans of Rajputana [Rajasthan] and stalwart Jats of the Punjab are likewise descended, in part at least, from these ancient invaders [White Huns], even though the Gurjaras [Gujars], the Rajputs and the Jats have long since adopted an Indian language and been absorbed in the vast bulk of Hinduism. (McGovern 1939,419). Cunningham states, “But the successive Scythian invasions of the Sakas, the Kushans and the White Huns, were followed by permanent settlements of large bodies of their countrymen, which lasted for many centuries … ” (Cunningham 1894, 93). We can replace the word “Scythian” with “Gets” or “Guts”. Etymology of Jat. If we look up the word “Jat” in the well-respected Panjabi Dictionary by Maya Singh, who was designated to create this lexicon by Denzil Ibbetson (at that time Director of Public Instruction), we find, “The name of a great tribe, descendents of the Massagetae, which forms the backbone of the Punjab peasantry, they are usually farmers and may be of any religion … ” (M.Singh 1895, 485). It first should be mentioned that Getae is pronounced GUT-AY. Strabo pluralizes the Getae as “Getan” (Jones 1928 3, 221). Further, Russian authors, such as Sulimirski and Yablonsky, pluralize the Getae as Getan. We can compare this to the pluralization of the word “Jat” in Panjabi, “Jatan” (Dhillon 1994, 110). This “Jatan” is very close to “Getan” and’ probably represents a palatalization of the latter. Palatalization is “the shifting of a sound so that it is made by the blade of the tongue against the hard palate (notice how your tongue moves when you say keys and then the palatalized cheese), and is a frequent enough sound change in many languages” (Mallory and Mair 2000, 120). In the singular case, then, “Get” (Gut) could be palatalized into “Jat” or “Jut.” It should be further mentioned that in Hindi, Jat is pronounced Jaut, rhyming with “hot,” which renders it perhaps with a palatalization of “Got”. Further, if we examine “Jat” or “Jut” from the “Yuezhi” or “Yuti” angle, we find that they are again very close. “Yuti,” being possibly the semi-vocal Sinitic transcription of Getae, is rendered once again very close to the pronunciation of “Jat” or “Jut.” The 1911 Encyclopedia Britannica, under the subject “Yue-Chi,” summarizes this etymology: Some authorities consider that the Vue-Chi are the same as the Getae and that the original form of the name was Yut or Get, which is also supposed to appear in the Indian Jat. (B.B. 1911,28: 944). system, which involved forced endogamy (Dhillon 1994, 16) and ritual purity. It seems the palatalized form of the tribal name “Getae” was retained intact as “Jettah” or “Jatta” in Transoxiana up until the time of Timur, as testified by’ his Zafarnama (Twigg 1870, 318-19). Further, even in Punjab today, a term of endearment used to address a Jat is “Jatta” (Pawar 1993, 339). However, those Getic tribes that were noted in the west remained Getae, as in the Thracian Getae, and were later known as Goths by the Roman writers, as will be demonstrated later. So if we believe that the name of the tribe of these ancient invaders remained intact, what about their physical characteristics-do they bear the impress of Central Asian origin? 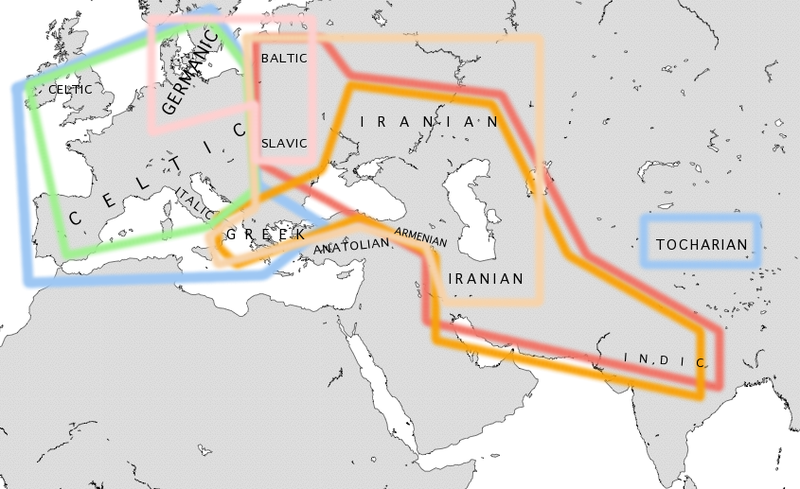 Scheme of Indo-European migrations from c. 4000 to 1000 BCE according to the Kurgan hypothesis. 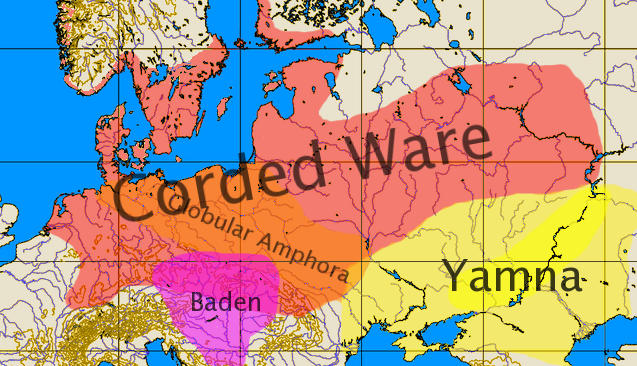 The magenta area corresponds to the assumed Urheimat (Samara culture, Sredny Stog culture). The red area corresponds to the area which may have been settled by Indo-European-speaking peoples up to c. 2500 BCE; the orange area to 1000 BCE. An increasing amount of evidence supports the hypothesis that horses were domesticated in the Eurasian Steppes approximately 4000–3500 BCE. Recent discoveries in the context of the Botai culture suggest that Botai settlements in the Akmola Province of Kazakhstan are the location of the earliest domestication of the horse. A genetic study published in 2012 that performed genomic sampling on 300 work horses from local areas as well as a review of previous studies of archaeology, mitochondrial DNA, and Y-DNA suggested that horses were originally domesticated in the western part of the Eurasian steppe. The Indo-Iranians and their expansion are strongly associated with the Proto-Indo-European invention of the chariot. Map of the approximate maximal extent of the Andronovo culture. The formative Sintashta-Petrovka culture is shown in darker red. In 1987 by a team of Chelyabinsk scientists led by Gennadii Zdanovich discovered here the amazing ARKAIM similar in form but much better preserved than neighbouring Sintashta, where the earliest chariot was unearthed. Due to the assimilation of tribes in the region of the Urals, such as the Pit-grave, Catacomb, Poltavka, and northern Abashevo into the Novokumak horizon, it would seem inaccurate to provide Sintashta with a purely Aryan attribution. The location of the earliest spoke-wheeled chariot finds is indicated in purple. Adjacent and overlapping cultures (Afanasevo culture, Srubna culture, BMAC) are shown in green. The Sintashta culture emerged from the interaction of two antecedent cultures. Its immediate predecessor in the Ural-Tobol steppe was the Poltavka culture, an offshoot of the cattle-herding Yamnaya horizon that moved east into the region between 2800 and 2600 BCE. Several Sintashta towns were built over older Poltovka settlements or close to Poltovka cemeteries, and Poltovka motifs are common on Sintashta pottery. Sintashta material culture also shows the influence of the late Abashevo culture, a collection of settlements in the forest steppe zone north of the Sintashta region that were also predominantly pastoralist. The first Sintashta settlements appeared around 2100 BCE, during a period of climatic change that saw the already arid Kazakh steppe region become even more cold and dry. The marshy lowlands around the Ural and upper Tobol rivers, previously favoured as winter refuges, became increasingly important for survival. Under these pressures both Poltovka and Abashevo herders settled permanently in river valley strongholds, eschewing more defensible hill-top locations. The Abashevo culture was already marked by endemic intertribal warfare; intensified by ecological stress and competition for resources in the Sintashta period, this drove the construction of fortifications on an unprecedented scale and innovations in military technique such as the invention of the war chariot. The Sintashta economy came to revolve around copper metallurgy. Copper ores from nearby mines (such as Vorovskaya Yama) were taken to Sintashta settlements to be processed into copper and arsenical bronze. This occurred on an industrial scale: all the excavated buildings at the Sintashta sites of Sintashta, Arkaim and Ust’e contained the remains of smelting ovens and slag. Much of this metal was destined for export to the cities of the Bactria–Margiana Archaeological Complex (BMAC) in Central Asia. The metal trade between Sintashta and the BMAC for the first time connected the steppe region to the ancient urban civilisations of the Near East: the empires and city-states of Iran andMesopotamia provided an almost bottomless market for metals. These trade routes later became the vehicle through which horses, chariots and ultimately Indo-Iranian-speaking people entered the Near East from the steppe. The Yamna culture dating to the 36th–23rd centuries, was preceded by the Sredny Stog culture, Khvalynsk culture and Dnieper-Donets culture, while succeeded by the Catacomb culture and the Srubna culture. The Yamna culture is identified with the late Proto-Indo-Europeans (PIE) in the Kurgan hypothesis of Marija Gimbutas. 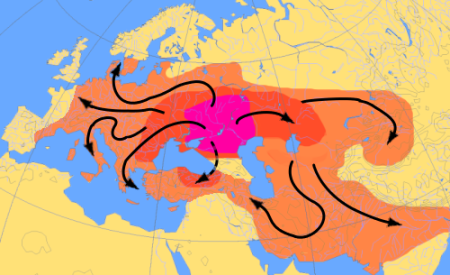 It is the strongest candidate for the Urheimat (homeland) of the Proto-Indo-European language, along with the preceding Sredny Stog culture, now that archaeological evidence of the culture and its migrations has been closely tied to the evidence from linguistics. The Sredny Stog culture dating from the 5th millennium BC is a pre-kurgan archaeological culture, named after the Russian term for the Dnieper river islet of Seredny Stih, Ukraine, where it was first located, dating from the 5th millennium BC. It was situated across the Dnieper river on both its shores, with sporadic settlements to the west and east. The Sredny Stog culture seems to have had contact with the agricultural Cucuteni-Trypillian culture in the west. Most notably, it has perhaps the earliest evidence of horse domestication (in phase II), with finds suggestive of cheek-pieces (psalia). ‘There is an agreement that the PIE community split into two major groups from wherever its homeland was situated (its location is unknown), and whenever the timing of its dispersal (also unknown). One headed west for Europe and became speakers of Indo-European (all the languages of modern Europe save for Basque, Hungarian, Estonian, and Finnish) while others headed east for Eurasia to become Indo-Iranians. Present day Romania is the turntable, the intersection of all indo-european branches!! The Bactria–Margiana Archaeological Complex (or BMAC, also known as the Oxus civilization) is the modern archaeological designation for a Bronze Age civilisation of Central Asia, dated to ca. 2300–1700 BCE, located in present day northern Afghanistan, eastern Turkmenistan, southern Uzbekistan and western Tajikistan, centered on the upper Amu Darya (Oxus River). Sarianidi’s excavations from the late 1970s onward revealed numerous monumental structures in many sites, fortified by impressive walls and gates. Reports on the BMAC were mostly confined to Soviet journals, until the last years of the Soviet Union, so the findings were largely unknown to the West until Sarianidi’s work began to be translated in the 1990s. The inhabitants were farmers who kept herds of goats and sheep and grew wheat and barley, with origins in southwest Asia. The inhabitants of the BMAC were sedentary people who practised irrigation farming of wheat and barley. With their impressive material culture including monumental architecture, bronze tools, ceramics, and jewellery of semiprecious stones, the complex exhibits many of the hallmarks of civilization. The complex can be compared to proto-urban settlements in the Helmand basin at Mundigak in western Afghanistan and Shahr-i Shōkhta in eastern Iran, or at Harappa and Mohenjo-daro in the Indus Valley. Sarianidi regards Gonur as the “capital” of the complex in Margiana throughout the Bronze Age. The palace of North Gonur measures 150 metres by 140 metres, the temple at Togolok 140 metres by 100 metres, the fort at Kelleli 3 125 metres by 125 metres, and the house of a local ruler at Adji Kui 25 metres by 25 metres. Each of these formidable structures has been extensively excavated. While they all have impressive fortification walls, gates, and buttresses, it is not always clear why one structure is identified as a temple and another as a palace. Extensive irrigation systems have been discovered at the Geoksiur Oasis. There is evidence of sustained contact between the BMAC and the Eurasian steppes to the north, intensifying c. 2000 BCE. In the delta of the River Amu Darya where it reaches the Aral Sea, its waters were channeled for irrigation agriculture by people whose remains resemble those of the nomads of the Andronovo Culture. This is interpreted as nomads settling down to agriculture, after contact with the BMAC. The culture they created is known as Tazabag’yad. About 1800 BCE the walled BMAC centres decreased sharply in size. Each oasis developed its own types of pottery and other objects. Also pottery of the Andronovo-Tazabag’yab culture to the north appeared widely in the Bactrian and Margian countryside. Many BMAC strongholds continued to be occupied and Andronovo-Tazabagyab coarse incised pottery occurs within them (along with the previous BMAC pottery) as well as in pastoral camps outside the mudbrick walls. In the highlands above the Bactrian oases in Tajikistan, kurgan cemeteries of the Vaksh and Bishkent type appeared with pottery that mixed elements of the late BMAC and Andronovo-Tazabagyab traditions. A significant section of the archaeologists are more inclined to see the culture as begun by farmers in the Near Eastern Neolithic tradition, but infiltrated by Indo-Iranian speakers from the Andronovo culture in its late phase, creating a hybrid. In this perspective, Proto-Indo-Aryan developed within the composite culture before moving south into the Indian subcontinent. As James P. Mallory phrased it ”It has become increasingly clear that .. steppe cultures were transformed as they passed through a membrane of Central Asian urbanism. The fact that typical steppe wares are found on BMAC sites and that intrusive BMAC material is subsequently found further to the south in Iran, Afghanistan, Nepal, India and Pakistan, may suggest then the subsequent movement of Indo-Iranian-speakers after they had adopted the culture of the BMAC”. 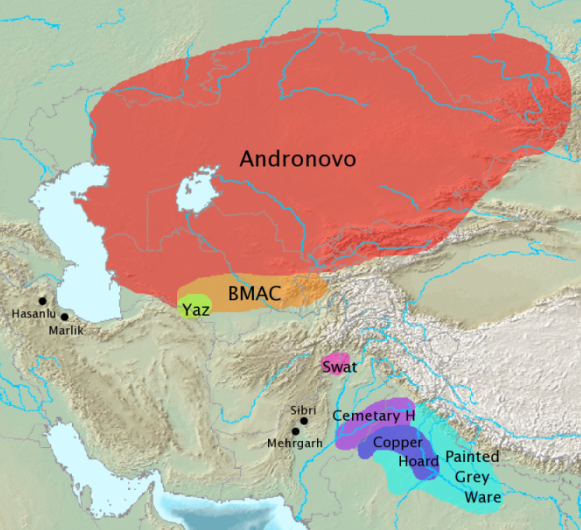 The Andronovo, BMAC and Yaz cultures have been associated with Indo-Iranians. The Indo-Iranians were a community that spoke a common language prior to their branching off into the Iranian and Indo-Aryan languages. Iranian refers to the languages of Iran (Iranian), parts of Pakistan (Balochi and Pashto), Afghanistan (Pashto and Dari), and Tadjikistan (Tajiki) and Indo-Aryan, Sanskrit, Urdu and its many related languages.’ – (Carl C. Lamberg-Karlovsky: Case of the Bronze Age). By the early 1st millennium Scythian tribes, along with Cimmerians, Sarmatians and Alans populated the steppes north of the Black Sea. The Indo-Aryan migration was part of the Indo-Iranian migrations from the Andronovo culture into Anatolia, Iran and South-Asia. The Indo-Iranian migrations took place in two waves. The first wave, starting at 1700BC consisted of a migration into Anatolia, founding the Hittite empire and Mittani kingdom, and a migration south-eastward, over the Hindu Kush into northern India. It is believed that Indo-Aryans reached Assyria in the west and the Punjab in the east before 1500 BC: the Hurrite speaking Mitanni rulers, influenced by Indo-Aryan, appear from 1500 in northern Mesopotamia, and the Gandhara grave culture emerges from 1600. This suggests that Indo-Aryan tribes would have had to be present in the area of the Bactria-Margiana Complex (southern Turkmenistan /northern Afghanistan) from 1700 BC at the latest (incidentally corresponding with the decline of that culture). Anatolia – Hittites and Mittani. The only linguistic remains in a Hittite horse-training manual written by one “Kikkuli the Mitannian“. Other evidence is found in references to the names of Mitanni rulers and the gods they swore by in treaties; these remains are found in the archives of the Mitanni’s neighbors. The time period for this is about 1500 BC. :257 In a treaty between the Hittites and the Mitanni, the deities Mitra, Varuna, Indra, and Nasatya (Ashvins) are invoked. Kikkuli’s horse training text includes technical terms such as aika (eka, one), tera (tri, three), panza (pancha, five; compare with Gr. pente), satta (sapta, seven), na (nava, nine; compare with Lat. novem), vartana (vartana, turn, round in the horse race; compare with Lat. vertere, vortex). The numeral aika “one” is of particular importance because it places the superstrate in the vicinity of Indo-Aryan proper as opposed to Indo-Iranian or early Iranian (which has “aiva”) in general. Indian Subcontinent- Vedic culture. The standard model for the entry of the Indo-European languages into South Asia is that this first wave went over the Hindu Kush, into the headwaters of the Indus and later the Ganges. The earliest stratum of Vedic Sanskrit, preserved only in the Rigveda, is assigned to roughly 1500 BC. :258 From the Indus, the Indo-Aryan languages spread from c. 1500 BC to c. 500 BC, over the northern and central parts of the subcontinent, sparing the extreme south. The Indo-Aryans in these areas established several powerful kingdoms and principalities in the region, from eastern Afghanistan to the doorstep of Bengal. 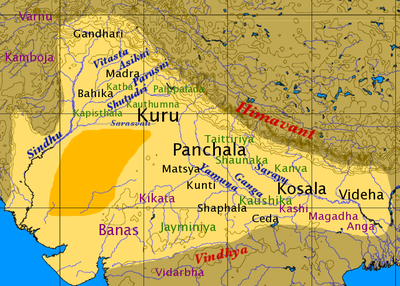 The most powerful of these kingdoms were the post-Rigvedic Kuru (in Kurukshetra and the Delhi area) and their allies the Pañcālas further east, as well as Gandhara and later on, about the time of the Buddha, the kingdom of Kosala and the quickly expanding realm of Magadha. The latter lasted until the 4th century BC, when it was conquered by Chandragupta Maurya and formed the center of the Mauryan empire. The second wave is interpreted as the Iranian wave. :42–43 The first Iranians to reach the Black Sea may have been the Cimmerians in the 8th century BC. They were followed by the Scythians, who are considered a western branch of the Central Asian Sakas. Sarmatian tribes, of whom the best known are the Roxolani (Rhoxolani), Iazyges (Jazyges) and the Alani (Alans), followed the Scythians westwards into Europe in the late centuries BCE and the 1st and 2nd centuries of the Common Era (The Age of Migrations). The populous Sarmatian tribe of the Massagetae, dwelling near the Caspian Sea, were known to the early rulers of Persia in the Achaemenid Period. In the east, the Saka occupied several areas in Xinjiang, from Khotan to Tumshuq. The Medes, Parthians and Persians begin to appear on the Iranian plateau from c. 800 BC, and the Achaemenids replaced Elamite rule from 559 BC. Around the first millennium of the Common Era (AD), the Kambojas, the Pashtuns and the Baloch began to settle on the eastern edge of the Iranian plateau, on the mountainous frontier of northwestern and western Pakistan, displacing the earlier Indo-Aryans from the area. In Central Asia, the Turkic languages have marginalized Iranian languages as a result of the Turkic expansion of the early centuries AD. Extant major Iranian languages are Persian, Pashto, Balochi and Kurdish, besides numerous smaller ones. The Scythians were mentioned as inhabiting large areas in the central Eurasian steppes starting with the 7th century BC up until the 4th century AD. Their historical appearance coincided with the rise of equestrian semi-nomadism from the Carpathian Mountains of Europe to the Altai mountains of present- day Mongolia in the Far East during the 1st millennium BC. The Parthian Empire (mostly Western Iranian) is shown in red, other areas, dominated by Scythia (Eastern Iranian), in orange. 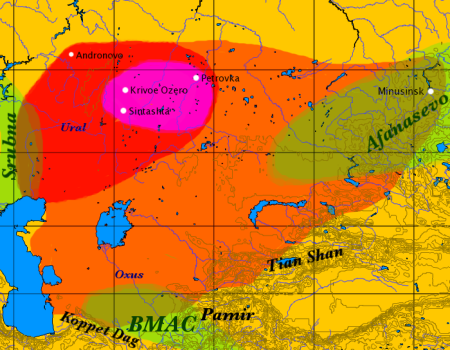 Conclusions which might be drawn thus far, by an increasing number of studies by Russian scholars, from an mtDNA perspective, are (i) an early, Bronze Age mixture of both west and east Eurasian lineages, with western lineages being found far to the East, but not vice-versa; (ii) an apparent reversal by Iron Age times, with increasing presence of East Eurasian lineages in the western steppe; (iii) the possible role of migrations from the sedentary south: the Balkano-Danubian and Iranian regions toward the steppe. Ancient Y-DNA data was finally provided by Keyser et al in 2009. They studied the haplotypes and haplogroups of 26 ancient human specimens from the Krasnoyarsk area inSiberia were dated from between the middle of the 2nd millennium BC and the 4th century AD (Scythian and Sarmatian timeframe). Nearly all subjects belong to haplogroup R-M17. The authors suggest that their data shows that between Bronze and Iron Ages the constellation of populations known variously as Scythians, Andronovians, etc. were blue- (or green-) eyed, fair-skinned and light-haired people who might have played a role in the early development of the Tarim Basin civilization. Moreover, this study found that they were genetically more closely related to modern populations of eastern Europe than those of central and southern Asia. The ubiquity and utter dominance of R1a Y-DNA lineage contrasts markedly with the diversity seen in the mtDNA profiles. The Olanesti/Romania treasure is unique in Europe. Discovered in the 1960 the artefacts are dated to the 5th century BC. The treasure contain six helmets, five greaves and an oil lamp. All the pieces are from the army of the Alexander The Great under Zopyrion command. Indo-Scythians is a term used to refer to Scythians (Sakas), who migrated into parts of central and northern South Asia (Sogdiana, Bactria, Arachosia, Gandhara, Sindh, Kashmir, Punjab, Haryana, Rajasthan, UP and Bihar. ), from the middle of the 2nd century BC to the 4th century AD. Pliny the Elder (Gaius Plinius Secundus, AD 23–79) claims that the Persians gave the name Sakai only to the Scythian tribes “nearest to them”. Another people, the Gimirrai, who were known to the ancient Greeks as theCimmerians, were closely associated with the Sakas. In ancient Hebrew texts, theAshkuz (Ashkenaz) are considered to be a direct offshoot from the Gimirri (Gomer). The Massagetae, or Massageteans (Greek: Μασσαγέται, Massagetai), were an ancient Eastern Iranian nomadic confederation, inhabiting the steppes of Central Asia east of the Caspian Sea, in modern-day Turkmenistan, Afghanistan, western Uzbekistan, and southern Kazakhstan. They are known primarily from the writings of Herodotus. The Dahae (Persian: داها‎; Sanskrit: Dasa; Latin: Dahae; Greek: Δάοι (Daoi), Δάαι, Δᾶαι (Daai), Δάσαι (Dasai)), or Dahaeans were a confederacy of three Ancient Iranian tribes who lived in the region to the immediate east of the Caspian Sea. They spoke an Eastern Iranian language. The first dateable mention of this nomad confederacy appears in the list of nations of Xerxes the great Daeva inscription. In this list of the peoples and provinces of the Achaemenid Empire, the Dahae are identified in Old Persian as Dāha and are immediately followed by a “Saka” group, who are listed as being neighbors of the Dāha. The Dahae, together with the Saka tribes, are known to have fought in the Achaemenid armies at the Battle of Gaugamela. Following the fall of the Achaemenid Empire, they joined Alexander of Macedon in his quest to India. The Sarmatians of the east became the Alans, who also ventured far and wide, with a branch ending up in Western Europe and North Africa, as they accompanied the Germanic Vandals during their migrations. Another group of Alans allied with Goths to defeat the Romans and ultimately settled in what is now called Catalonia (Goth-Alania). worldhistorymaps.info/CentralAsia: By 700 BC, Eastern Iranian tribes known collectively as the Scythians (Sakas) dominated most of Central Asia. 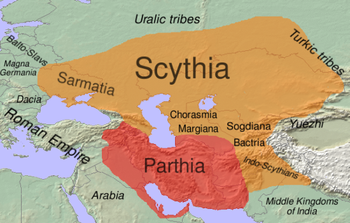 The Scythians weren’t a unified nation; they were a series of independent tribes with similar languages and customs. For example, the Massagetae occupied Transoxiana, while the Dahae were in Margiana, the Bactrians near India, the Chorasmians near the Aral sea, etc. They often raided neighboring lands such as Iran and Armenia. They attacked Assyria in 676 BC but were defeated by King Esarhaddon. The Sakas, probably descendents of the Massagetae, pushed by the Yuezhi/Tocharians, fled in what became a massive invasion towards Bactria and Parthia, when the Tocharians settled in Sogdiana. Transoxiana and Bactria were the first Greek provinces to fall to these Sakas. In 145 BC the Greco-Bactrian city of Alexandria-on-the-Oxus (Ai-Khanoum) was destroyed during a massive Saka attack. The last Greek stronghold in Bactria, the Eucratidian kingdom of Heliocles I, was destroyed in 130 BC. About the same time, the Tocharians evicted the Sakas from Bactria and forced them south into Parthian lands. King Phraates II of Parthia was killed in battle against the Sakas, as was his uncle and successor, King Artabanus I. The Sakas settled for a while in the province of Aria, which became known as Sakastan. In the early 1st century BC, the Parthian Empire expanded eastward, defeating the Tocharians and subjugating the Sakas. Sakastan became a Parthian province ruled by the Suren family. By 20 AD, one of the Suren by the name of Gondophares became independent from the Parthians and founded the Pahlava or Indo-Parthian Empire. The Pahlava Empire barely outlasted Gondophares’ death in 45 AD, as the Tocharians were then united into the expanding Kushan Empire. 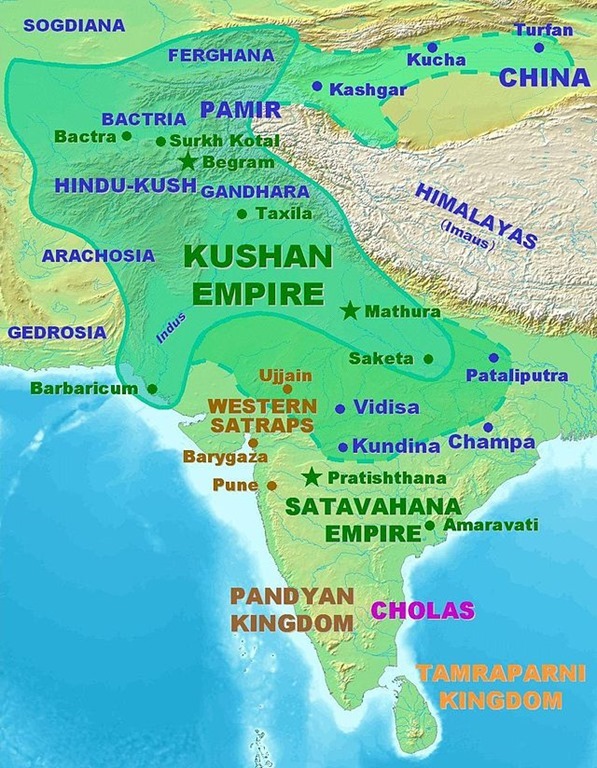 Shortly after 200 AD the Kushan Empire broke up into seperate kingdoms, an “East Kushan” kingdom in the Punjab, and the “West Kushans” in Afghanistan. 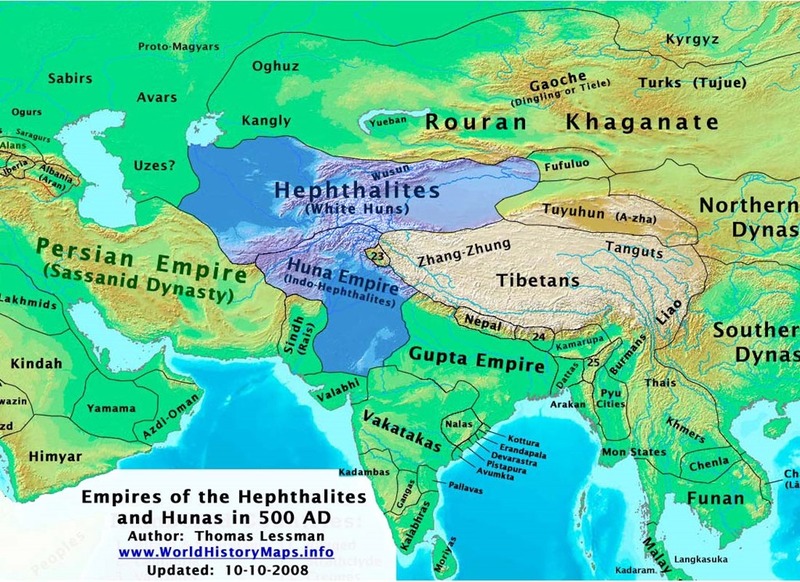 The Hephthalites (sometimes called “White Huns“, also known as Hoa or Hoa-tun by the Chinese,Ephthalites by the Greeks, and Hunas by the Indians) were a confederation of nomadic peoples in Central Asia during the 5th and 6th centuries AD. Their precise origins and composition remain obscure. They were likely of Iranian or Turkish decent (or a mixture of both). According to the Encyclopaedia Britannica, they had no cities or system of writing, lived in felt tents, and practiced polyandry, while very little is known of their language. wiki: The Yuezhi (Chinese: 月氏; pinyin: Yuèzhī, literally “Moon Clan”) were an ancient Indo-European people often identified with the Tókharoi (Τοχάριοι) of Classical sources. They were originally settled in the arid grasslands of the eastern Tarim Basin area, in what is today Xinjiang and western Gansu, in China, before they migrated to Transoxiana, Bactria and then northern South Asia, where one branch of the Yuezhi founded the Kushan Empire. The Yuezhi may have been an Europoid people, as indicated by the portraits of their kings on the coins they struck following their exodus to Transoxiana (2nd–1st century BCE), some old place names in Gansu explainable in Tocharian languages, and especially the coins they struck in India as Kushans (1st–3rd century CE). Ancient Chinese sources do describe the existence of “white people with long hair” (the Bai people of the Shan Hai Jing) beyond their northwestern border. Very well preserved Tarim mummies with Europoid features (light hair and eyes) and dominated by Haplogroup R1a1a (Y-DNA), today displayed at the Ürümqi Museum and dated to the 3rd century BCE, were found at the ancient oasis on the Silk Road, Niya. By the end of the 1st century BCE, one of the five tribes of the Yuezhi, the Guishuang managed to take control of the Yuezhi confederation and expanded to the east during the 1st century CE to found the Kushan Empire. During the 1st and 2nd century, the Kushan Empire expanded militarily to the north and occupied parts of the Tarim Basin, their original grounds, putting them at the center of the lucrative Central Asian commerce with the Roman Empire. About 120 CE, Kushan troops expanded their power and influence in the Tarim Basin. Knock-on effect – The Parthians from Iran and the Bactrian Greeks from Bactria had both been dislodged by the Sakas coming down from somewhere near the Aral Sea. But the Sakas had in turn been dislodged by the Yueh-chi who had themselves been driven west to Xinjiang by the Xiongnu. The Xiongnu would not reach India for a long time. But the Yueh-chi continued to press on the Shakas, and having forced them out of Bactria, it was sections or clans of these Yueh-chi who next began to move down into India in the second half of the first century CE. General Cunningham identified the Kushans as Gurjars or Gujjar. 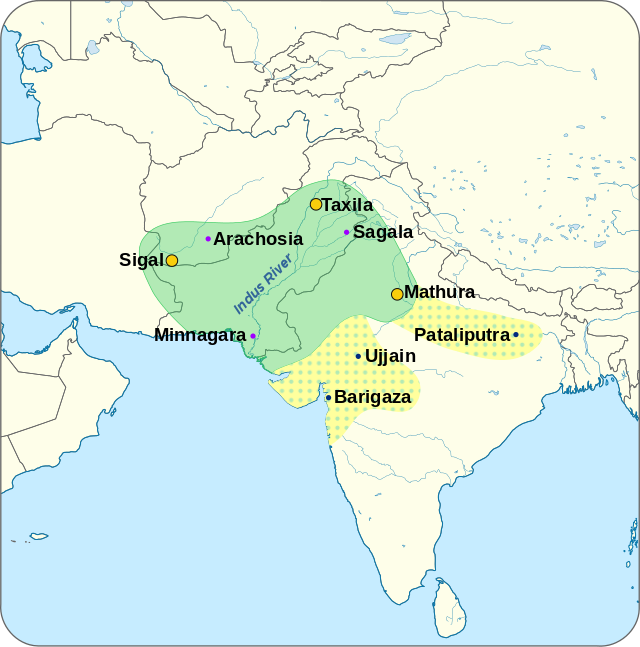 The Kushans were one of five branches of the Yuezhi confederation, a possibly Iranic or Tocharian, Indo-Europeannomadic people who had migrated from the Tarim Basin and settled in ancient Bactria. Their official language, the Indo-European Bactrian language, is closely related to the modern Afghan languages. 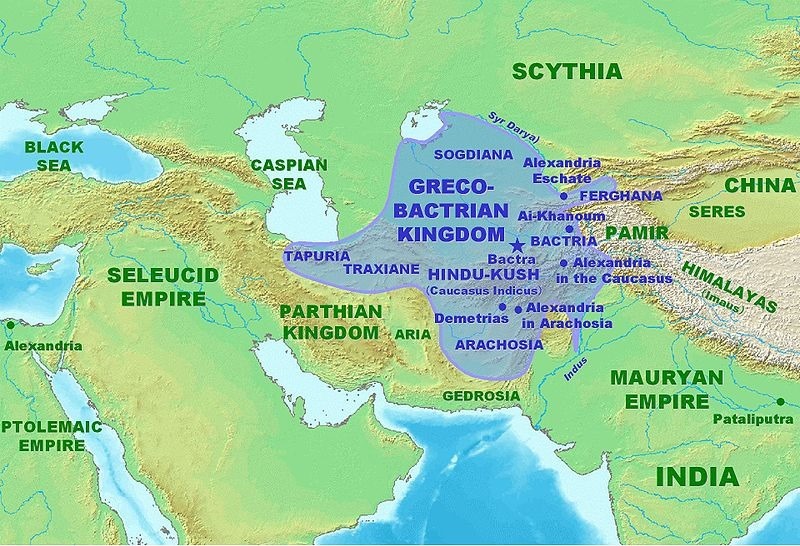 The Kushans spread from the Kabul River Valley to also encompass much of the Indo-Greek Kingdom, from which they took their first official language (Greek), Bactrian alphabet, Greco-Buddhist religion, coinage system, and art. The last of the Kushan and Sassanian kingdoms were eventually overwhelmed by the Hepthalites, another Indo-European people from the north. Recap: Byzantine Creation Era ”The Making of the World”- Facerea Lumii – 5600 BC – the breaking of the Bosphorus, the Fresh Water Lake becomes the Salt Water Black Sea. The Proto Getes living around the banks of Black Sea migrate outwards. ProtoGetes going up the Danube to Western Europe became ProtoCelts and ProtoGetes going east became Massagetae / IndoAryans – vedic&iranian cultures. Cultures going from Central Europe to East. 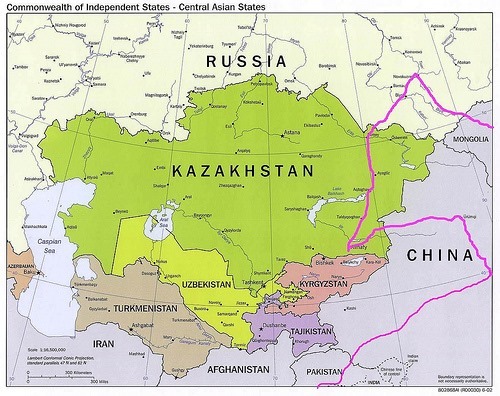 >> 12] Massageteans/on the Oxus are in the center of Scythian/Getae/Jet continuum from Dniester to Indus. Then the direction of the tides changes again, the migrations are starting to flow from E to W, from the Caspian Pontic steppes to Europe, with the Huns and the Mongols pushing from behind the biggest waves. >> The Cimmerians were an ancient Indo-European people living north of the Caucasus and the Sea of Azov as early as 1300 BCuntil they were driven southward by the Scythians into Anatolia during the 8th century BC. Linguistically they are usually regarded as Iranian, or possibly Thracian with an Iranian ruling class. After their exodus from the Pontic steppe the Cimmerians probably assaulted Urartu about 714 BC, but in 705, after being repulsed by Sargon II of Assyria, they turned towards Anatolia and in 696–695 conquered Phrygia. In 652, after taking Sardis, the capital of Lydia, they reached the height of their power. Their decline was rapid, and their final defeat is dated between 637 and 626, by Alyattes of Lydia. There are no further mentions of them in historical sources, but it is likely they settled in Cappadocia. Herodotus thought the Cimmerians and the Thracians closely related, writing that both peoples originally inhabited the northern shore of the Black Sea, and both were displaced about 700 BC, by invaders from the east. Whereas the Cimmerians would have departed this ancestral homeland by heading east and south across the Caucasus, the Thracians migrated southwest into the Balkans, where they established a successful and long-lived culture. The Getes were known by the Greco-Romans to the west, by the Chinese to the east, and by the Indians and Persians to the south. In the fourth and third centuries BC, after resisting Alexander the Great, the Massagetae subdued nearly all the nomad tribes of Central Asian north of the Macedonian frontier, eastward to the Tien-Shan Mountains, and possibly many tribes of the Kazakhstan steppes; this led to a tremendous extension of their culture. Sakas, Dahae, Daae, Sacae, Daks, Alans, Sarmatians, ThracoGetians, Thyssagetae, Tyrigetae, Great Yuezhi, Ephthalites or White Huns, Kushans, Tochari, Cimmerians, Goths, Iazygians, Roxolani, Dacians, there seems to be a continuity between the vast steppes, from neolithic to the Middle Age. Barstow writes about the physical characteristics of the Jat Sikhs, “The Sikh Jat is generally tall and muscular, with well shaped limbs, erect carriage, and strongly marked and handsome features …. In physique his is not surpassed by any race in India, if indeed he is not put at the top of the tree in this respect” (Barstow 1928, 166-67). Now the Jats, after being in India for several centuries, obviously intenningled to some degree with the previously settled populations, but still maintained their identity. The main factor is probably the displacement of many of the original inhabitants of the Punjab and surrounding areas toward the interior of India and the forced endogamy of the rigid Hindu caste system, which allows for practically no intermarriage between castes (Dhillon 1994, 16). Although in reality, the situation with the Indo-Scythian populations in the Northwest is that they probably have undergone a process analogous to the American South with regard to the local Dravidian and interleaving Aryan populations once settled there. Moreover, the somewhat allowed institution of hyperagamy may have allowed for women of lower status to marry men of higher status (Barstow 1928, 159). Still the Jats may not be free from elements of subsequent invaders of India, such as the Arabs, Ghaznavids, and Mughals. Dhillon claims that around seventy percent of Sikhs are of the Jat background (Dhillon . 1994, 12). In his Germanic People: Their Origin, Expansion and Culture, Owen writes, “In the shape of face, stature and general physical build the Sikhs approximate the Nordic type” (Owen 1960, 50-51). Further, Rose says, ” … [W]e find to this day in the Punjab a physical type predominating which in many respects resembles that of certain European races, and is radically different from the typical characteristics of the other Indian stocks … ” (Rose 1883, 1:58, 2: 362-63). Although physical characteristics alone probably do not satisfy the more skeptical reader, perhaps a brief analysis of their customs, in addition to the aforementioned practice of levirate marriage, will be helpful. Keeping Unshorn Hair. “In the Punjabi language, the word ‘Gut’ or ‘Gutan’ means long hair. This could very well be derived from the fact that they or their forefathers … Scythians … used to keep long hair” (Dhillon 1994, 1). The baptized Sikh was required to wear unshorn hair. He states: “Uncut hair was a Jat custom … ” (McLeod 1976, 52, 93). Ancestor Worship. Ancestor worship is believed to have been introduced to India during the Kushan age. The Jats of the Panjab worship their ancestors in a practice known as Jathera. Talbot-Rice mentions this practice among Slavs: “Among the various practices which the Slavs inherited from the Scythians, the most important consisted in the worship of their ancestors” (Talbot-Rice 1957, 181). “The Alans worshipped or, perhaps more exactly, venerated their ancestors” (Bachrach 1973, 22). We also know that the Goths worshipped their ancestors or heroes (Wolfram 1988, 106). Alans: ”There the man is judged happy who has sacrificed his life in battle.. a naked sword is fixed in the ground and they reverently worship it as their god of war. (Rolfe1939, 393-95). It probably all goes back to the sword worship of the Scythians; as Wolfram puts it: “That Ares-Mars, in the form of the sword, was the divine father of the Scythians, Getaes, Goths, and Gauts was known to ancient ethnography, which they never tired of mentioning” (Wolfram 1988, 109). Clan Names. The Jats of Panjab have several clan names that overlap virtually identically with those of certain European tribes; for example, Gill, Mann, Birk, Bains, Dhillon, Maur or Moore, Lally, Hans, Herr, JobI, Chiller, Sandher, etc., overlap with German, French, and English names. These examples are by no means insignificant but in fact are very well known Jat clan names. Dhillon provides an extended list of these names, and he strongly suggests that the Jat clan names are neither corrupted nor borrowed (Dhillon 1994). The second Anglo Sikh war, in which the Sikhs lost and were annexed into British India, occurred in 1849, and within 35 years Rose published his A Glossary of Tribes and Castes of Punjab and the Northwest Frontier Province, in which he recorded these very clan names (Rose 1883), which had been collected by Ibbetson for census data for the 1880 Census (Ibbetson 1916). For example, the number of Gills, as reported by Ibbetson, was around 125,000 in 1880 (Ibbetson 1916, 121). Tyre River] (Bergmann 1859, 27).” Rawlinson adds, “When the Goths (Getae) conquered the region about this river [Tyras], they received the name of Tyri-getae” (H. Rawlinson 1880, 38). The Tyro-Getae, of Pliny, are the same with the Tyritae of Herodotus. For by both writers they are placed on the river Tyres, or Tyras, the Dniester of our modem times. The Tyregetae or the “Tyregetans” of Strabo (Jones 1928, 3: 221), therefore, must be the Getae near the Tyre River. The Tyre River would represent the modem Dniester River (Kephart 1960, 466), which is found in western Ukraine. Further, Mircea Eliade says the Tyregetae dwelled from the Balkans to the Dniester (Tyre) River (Eliade 1970, 12). Hewitt believed the Getae to be an offshoot Scythian tribe, who were related to the Great Getae or Massagetae living east of the Caspian Sea region. Strabo writes, “The Daci, I think were called Dai in early times … “ (Jones 1928, 3: 213). This is confirmed by Flaccus’s Argonautica, in which he calls them Dahae. Mircea Eliade, in his book Zalmoxis, equates the Dacians with the Dahae. According to Strabo (304, 7. 3. 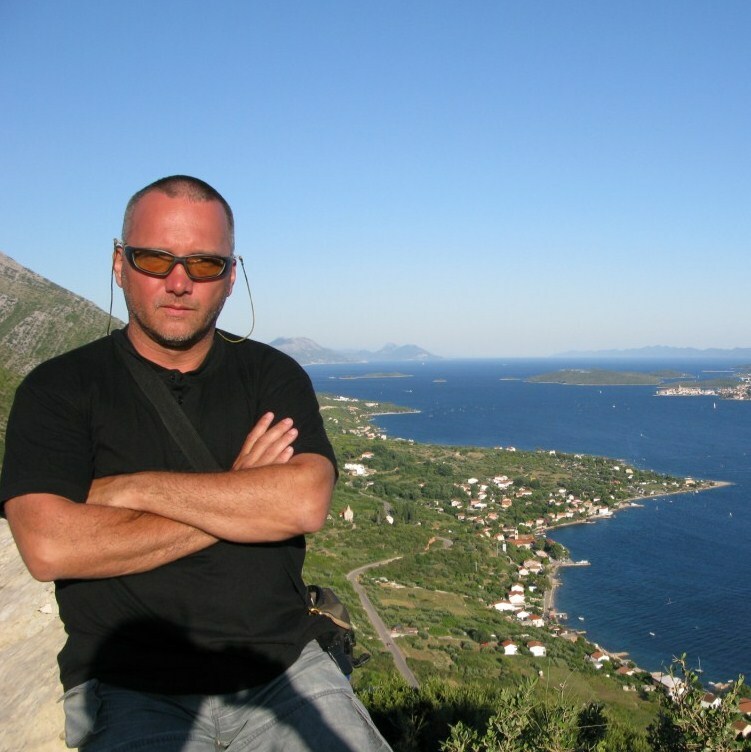 12), the original name of the Dacians was daoi. Certain nomadic Scythians to the east of the Caspian Sea were also called daoi. In all probability their ethnic name was derived from Iranian (Saka) dahae, ‘wolf’ …. The Latin authors called them Dahae, and some Greek historians daai …. Hyrcania-Land of the Wolves. The Dahae branch of the Sakas was noted by classical writers to be found at the southeast shore of the Caspian Sea, near the ancient land of Hyrcania (Jones 1928,3: 213). That Daii means ”wolf’ in the Phyrgian language is well attested (Eliade 1972, 1). The same is true of dhaunos in Illyrian (Eliade 1972, 1). Draco, originally a Dacian emblem, may have been introduced to the Roman cavalry by Sarmatian units in the 2nd century. It was actually not a dragon but a wolf head with serpent body, it was used by all Daco Getians from the South of the Danube up to the Dniester as their main military symbol. The Agathyrsi. The 1911 Encyclopedia Britannica states, “They are described by Herodotus (iv. 104) as of luxurious habits, wearing gold ornaments and having wives in common. They tattooed their bodies …. Valerius Flaccus (Argonautica, vi. 135) calls them Thyrsagetae … ” (E.B. 1911, 1: 370). We know that the Massagetae kept women in common (Yablonsky 1995, 250) and used only gold and copper, and that the Scythians tattooed their bodies. Further, in his Argonautica, Valerius Flaccus states, “Whom have I failed to mention? The Thyrsagetae, who march to the beat of the drums they carry … ” (Slavitt 1999, 113). Thrysa-getae practiced polyandry, tattooed their bodies, and wore extravagant gold, which opens up cultural similarities to the Massagetae. In summary, we find similarities between the Dacians (Dahae), Getae, Tyrigetae (Getae of Tyras), Agathyrsi (Thyrsagetae), and the Orkoi (Virks) , classical writers referred to them as Scythians. The Alans. Ammianus Marcellinus (4th century A.D.), perhaps the best authority on the Alans, an Iranian nomadic people, wrote: [T]he Halani mount to the eastward, divided into populous and extensive nations. [T]he Halani, once [were] known as the Massagetae. (Rolfe 1939, 387-90). This entry was posted in *****, Aryans, ethnogenesis, Etnogeneza Rumânilor, Getae,Getes,Geti and tagged Arkaim, BMAC, Dahae, Dakhs, Getes, Jats, Kushan, Massagetae, Scythians. Bookmark the permalink. Reblogged this on OMG! News Africa.